This is a real situation. Image not to be used in a defamatory context. 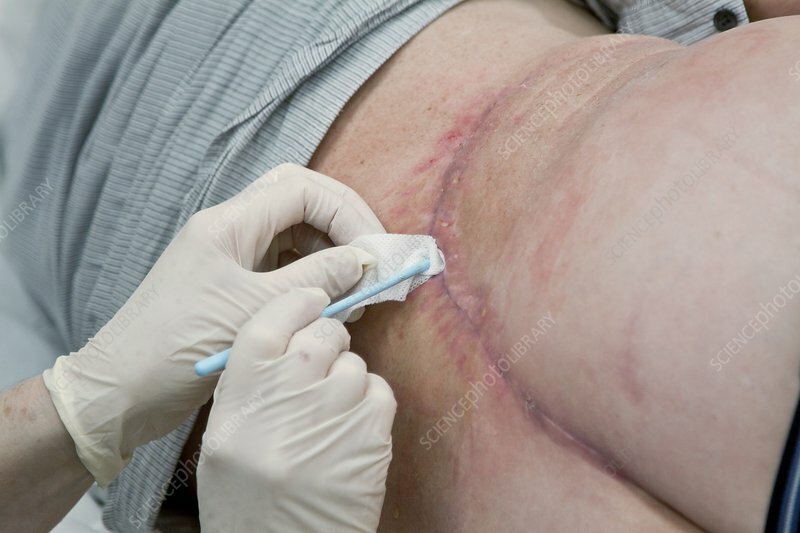 Post-operative wound sinus on a 63 year old patient's back being dressed by a practice nurse. A sinus is a channel-like lesion under the skin caused when a surgical incision becomes infected. Treatment is with draining the wound and antibiotics.